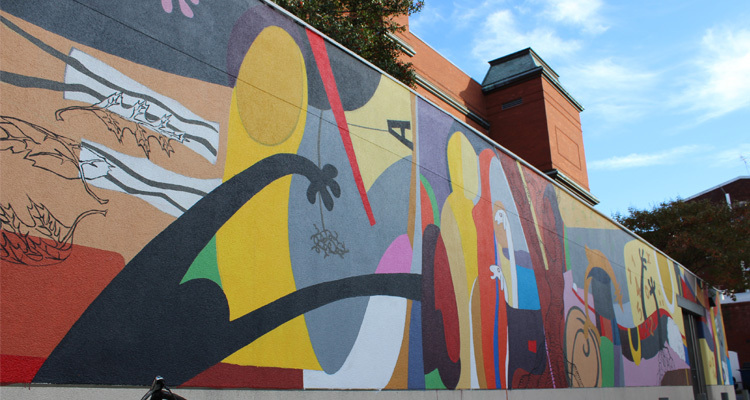 Mike Guy is an artist who has been active across the DC area. He received formal training from Indiana University of Pennsylvania, studying fiber arts under Fyuko Matsubara, with a focus in silk painting and printmaking. Since then, he has exhibited in galleries across DC, Maryland, Virginia, and Pennsylvania. 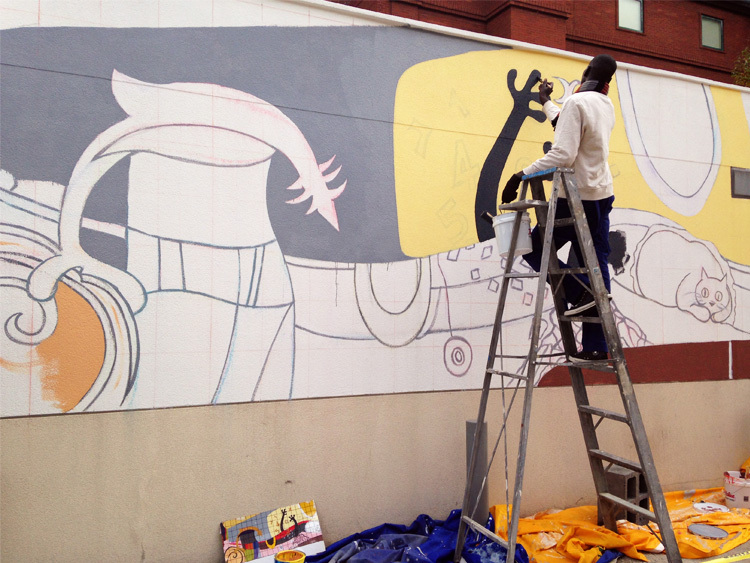 He has also done large-scale mural projects for schools and businesses in DC, Maryland, and Virginia. 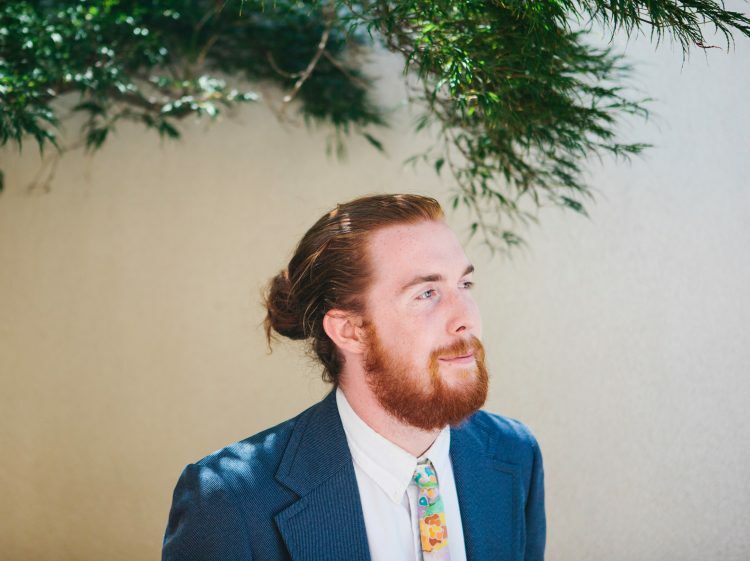 Mike has independently created pieces for companies including DC Vote, WeWork, Ted X, and the National Academy of Sciences. I am a Museum Supervisor. The most interesting part is being able to walk through the museum first thing in the morning when all the lights are off. It’s always nice to have the first thing in your day be seeing some great art. Top three are Kandinsky, van Gogh, and Tack. 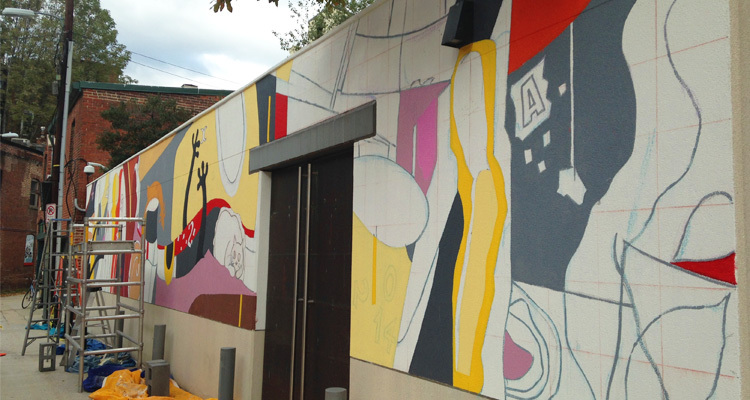 I am partial to the mural on the back wall of the courtyard in the alley (by four artists from Senegal) since I was the lead assistant for it. 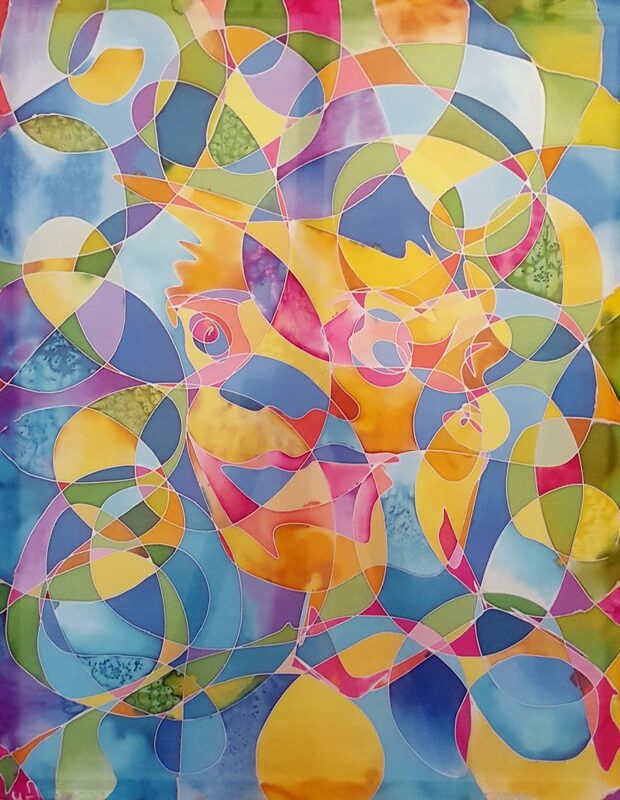 This painting is from my series of silk paintings Dormant. Each painting consists of one single line, which is quickly created on the silk. The nature of this method makes it so that you can’t go back and edit or erase lines after they have been laid out. I then go into the painting and add layers of color while reflecting on the initial movement in an attempt to find a balance. Each painting is a portrait, but instead of focusing on just the person, I blend them into their environment. Find more of Guy’s artwork on his website. 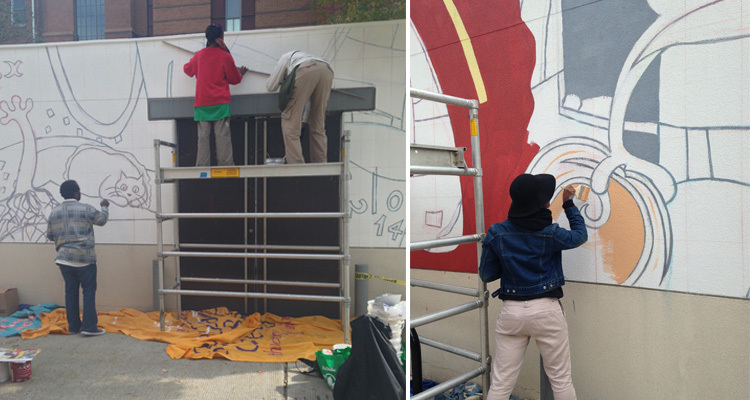 Four mural artists completed an original work on the back courtyard wall of The Phillips Collection in late October. 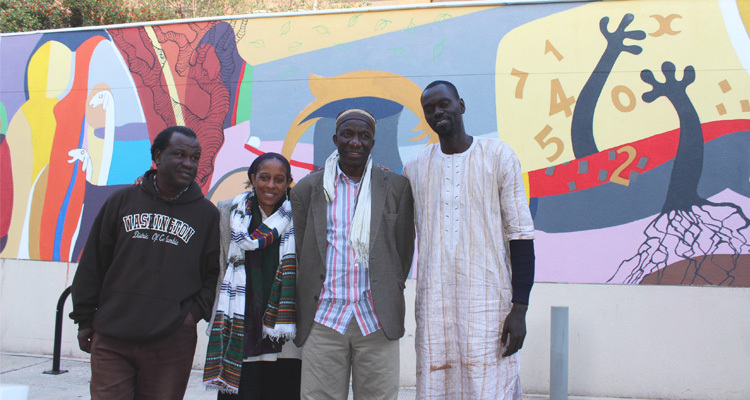 Muhsana Ali, Fodé Camara, Viyé Diba, and Piniang (Ibrahima Niang) were part of a larger group of painters that created a mural at the US Embassy in Dakar in May 2014. The Senegalese artists traveled here as part of a cultural exchange organized by the State Department’s ART in Embassies program. Huge thanks to generous supporters Toni A. Ritzenberg, Millennium Arts Salon, CulturalDC, International Arts and Artists, and the Cameroon American Council. 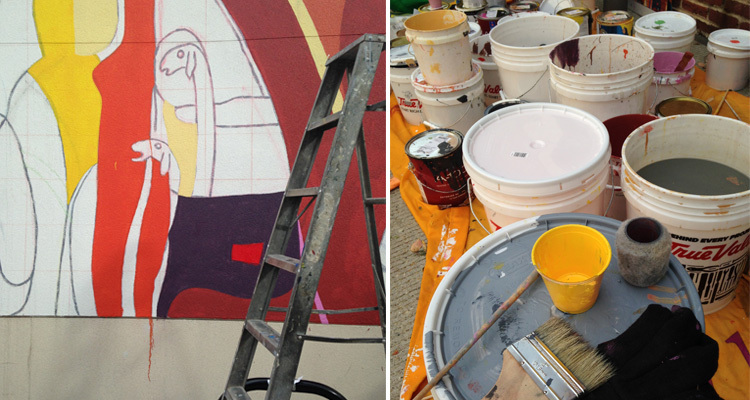 Hard at work on days one and two of painting. About halfway done on day 3! Lots of paint from Farrow & Ball.